New offices in Shanghai, China. 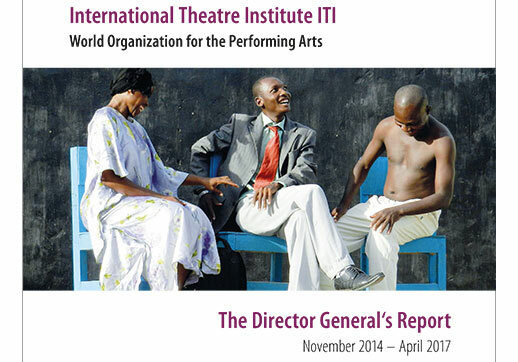 by theatre and dance experts and UNESCO. and creation in the field of the live performing arts. UNESCO’s goals of mutual understanding and peace. 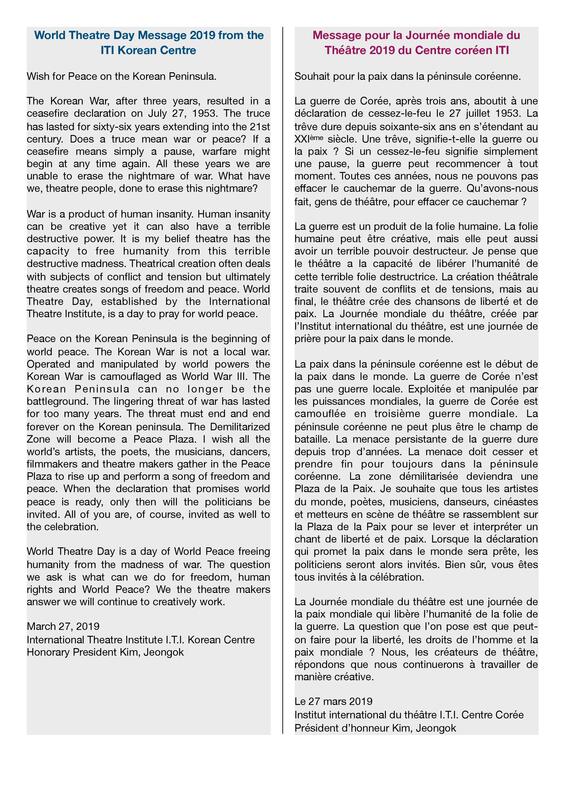 The Korea Republic Centre of ITI, to mark World Theatre Day, have contributed their own message of peace and understanding for the event from their Honorary President Kim Jeong-ok.
>>To view their message in English and French, please click here. 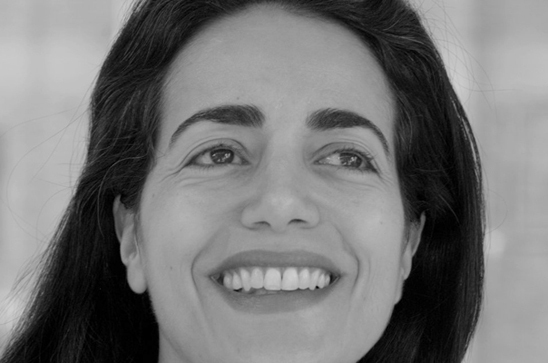 ITI takes great pride in announcing that Karima Mansour from Egypt, the outstanding dancer, choreographer and dance educator, has been selected to write the message for 2019. International Dance Day is an event to be celebrated all over the world on 29 April. >>For more information about message author biography and message, please click here. If you create an event for International Dance Day, please send the information about the time, location and programme of your event, to news(at)iti-worldwide.org so that it will be uploaded to the virtual worldwide celebration map. 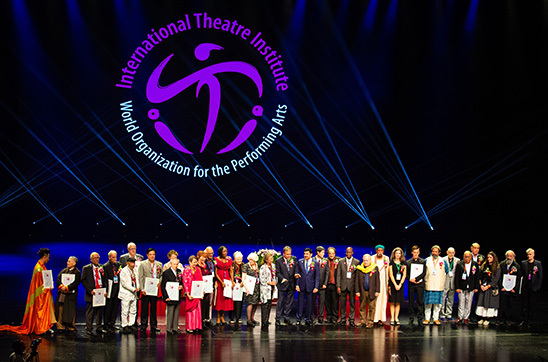 The World Theatre Training Institute AKT-ZENT have sent their encouragement to all who celebrated World Theatre Day 2019 in the form of a short message. >>To view it in multiple languages, please click here. 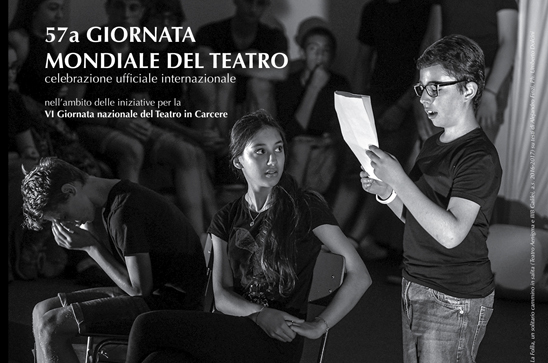 We are happy to announce that the main Celebration of World Theatre Day 2019 will held in Rome and Pesaro, Italy. The programme contains three parts spread over two days, 26 - 27 March. 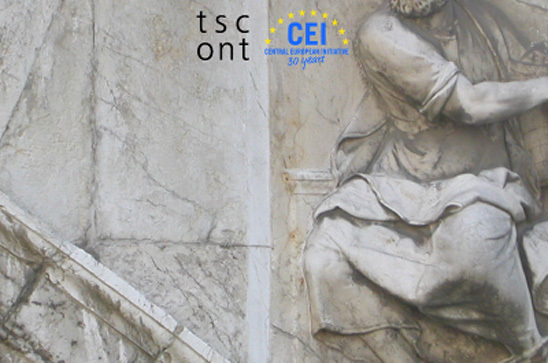 For the programme of Rome please click here and for the programme of Pesaro please click here . 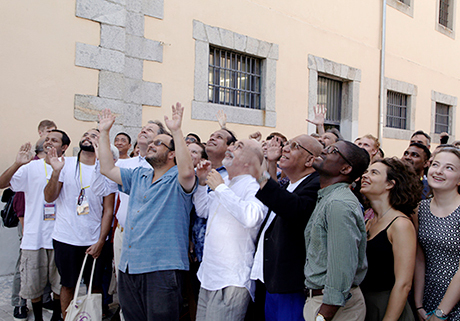 One of the featured aspects of the event is the celebration in a prison in Pesaro. It also involves an award ceremony for a children's play-writing competition “Scrivere Il Teatro” and a main ceremony where the message will be read out by Carlos Celdran. 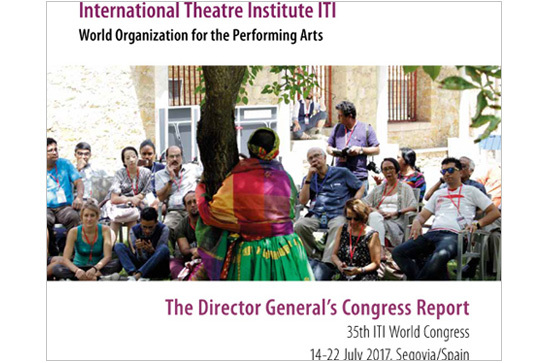 We believe that this is a unique moment, allowing ITI to take the magic of theatre to marginalized groups and young people. This will strengthen our dedication to encourage communication and mutual understanding through the arts for all people all over the world. 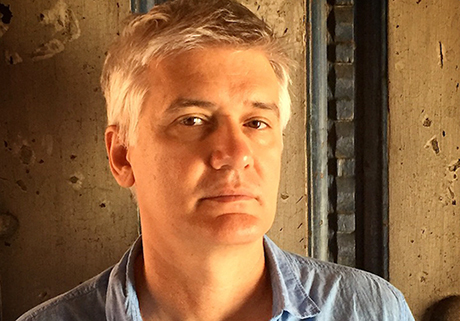 It is our great pleasure and honour to announce that Carlos CELDRAN from Cuba, the outstanding stage director, playwright and theatre educator, has been selected to write the message for 2019. Here you find the original message in Spanish (original), English and French. Additionally, you find the biography in Spanish (original), English and French, How to Celebrate World Theatre Day Event English and French and the photo by Laura Ramos that is copyright-free (but the photographer needs to be mentioned in usage). For more information, please visit our website. 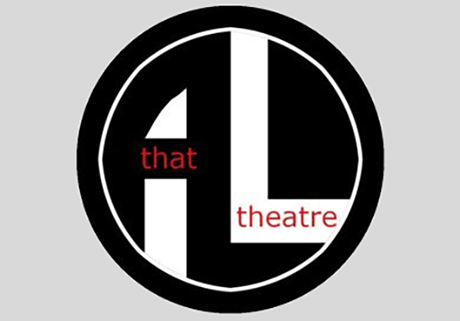 If you create an event for World Theatre Day, please send the information about time, location and programme of your event, to news(at)iti-worldwide.org so that it will be found on the virtual map. The Director General’s Report (November 2014 – April 2017) is now available in English and French for download. >>Please click here to download different versions. 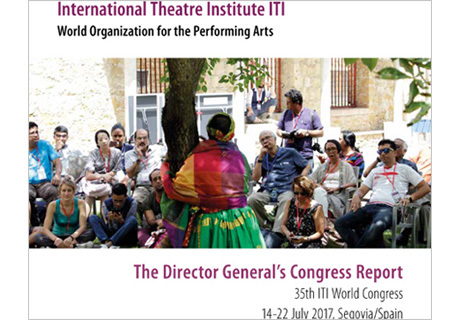 The Director General’s Congress Report (35th ITI World Congress) is now available in English and French for download. 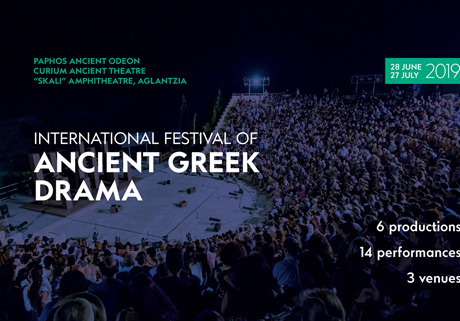 The Cyprus Centre of ITI, along with the Cypriot Ministry of Education and Culture and the Cypriot Ministry of Tourism are pleased to be able to announce the programme of events for the 2019 International Festival of Ancient Greek Drama, which will run from the 28 June – 27 July 2019. 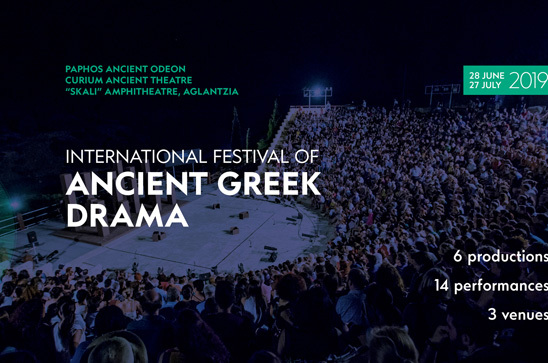 The 23rd edition of the festival has seen six theatre groups selected to present performances at Paphos Ancient Odeon, Curium Ancient Theatre and “Skali” Amphitheatre in Aglantzia. >>To read the full press release click here. 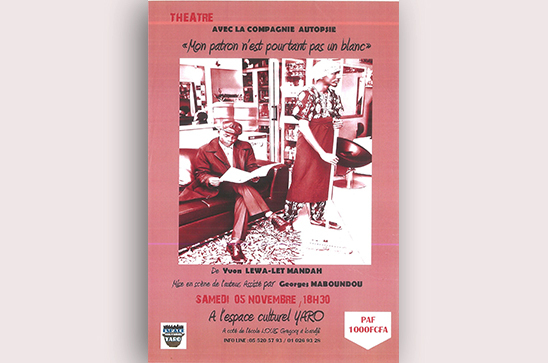 >>To view the programme click here. 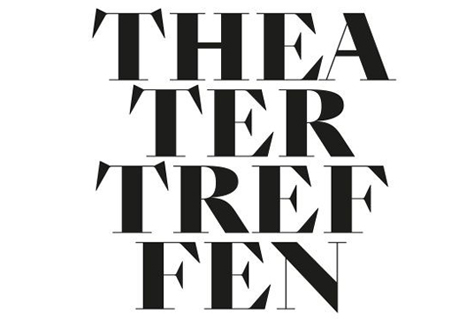 The Macedonian Centre of ITI, and the Goethe Centre of Skopje, announce a project on the theme of translating visual dramaturgy entitled ‘The modern on stage /The dream of the house’, which will be held in the Museum of Contemporary Art, Skopje, from 11-16 April. 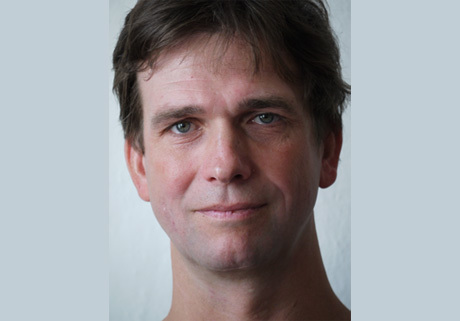 The event will take the form of a Workshop led by Jan Pappelbaum of Germany, who will lecture about his professional experience as theatre set designer working with some of the best German and European theatre directors. Pappelbaum will talk about the theatre profile of Schaubuhne from Berlin – one of the most inventive theatres in Germany. In the workshop he will work with our professional set designers and together they will develop set design installations. This will be followed by a digital exhibition. 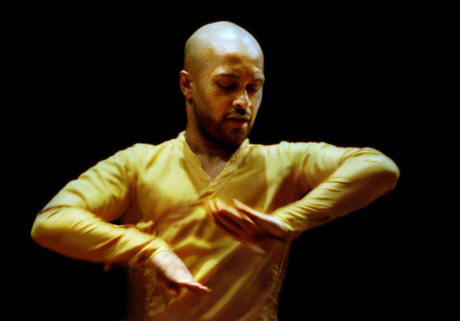 Former International Dance Day Message Author Akram Khan has announced a new documentary series to be broadcast this April; an in-depth and up-close exploration of the motivations, provocations and stimulations that make the human race dance. The series launches to European viewers via Sky Arts on International Dance Day (29th April 2019). Khan takes viewers on a global journey through the most dynamic, seductive and influential dance forms of our time, and profiles the artists redefining the art form for modern audiences. 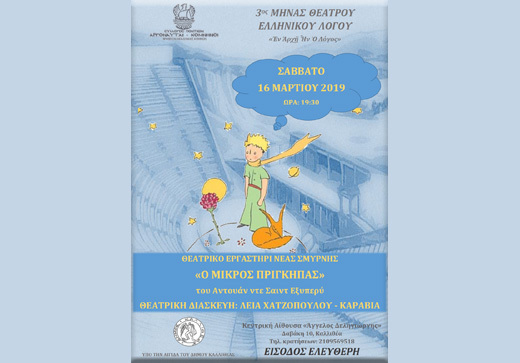 March 2019 saw Lia Karavia take her Theatre Workshop, which has previously performed at International Festivals, perform a rendition of Antoine de Saint-Exupéry’s novel The Little Prince in Greece. 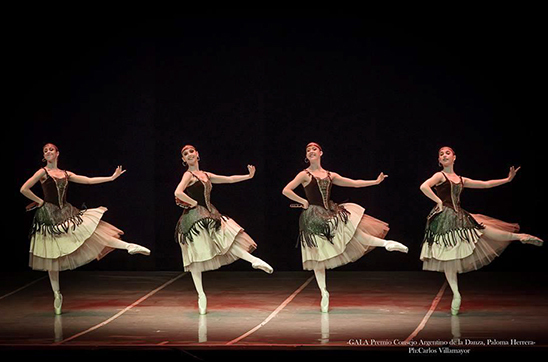 The work was adapted for the stage by Lia and the performers ranged from kindergarteners to adults. The 14th Edition of Operadagen Rotterdam 14th has taken inspiration for part of its programme from International Women’s Day, as the event intends to celebrate the works of 15 female composers over a ten-day festival from 17-26 May 2019.Works including a portrait of feminist author Sylvia Plath, the impressive life story of the African-American freedom fighter Harriet Tubman, and life from behind a niqab, based on the work of three Afghan Women poets, will be shown at the event, alongside many other productions. To read the >>full press-release of the women specific part of the event, please click here. To view >>information on the rest of the activities click here. >>To purchase tickets please visit the Operadagen Website. The Iranian Centre of ITI - the Dramatic Arts Centre of Iran - are pleased to announce some events for everyone to get involved with. 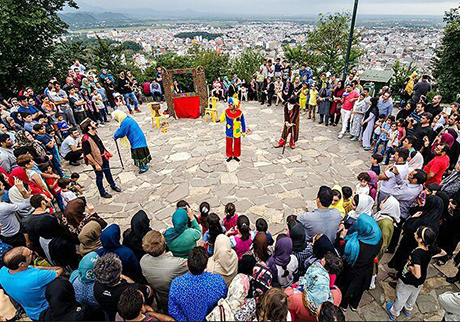 2019 sees both the 14th International Street Theatre Festival, from 23 to 27 August in Marivan, and the 26th International Theatre Festival for Children and Young Adults, 10-15 November 2019 in Hamevan, take place. 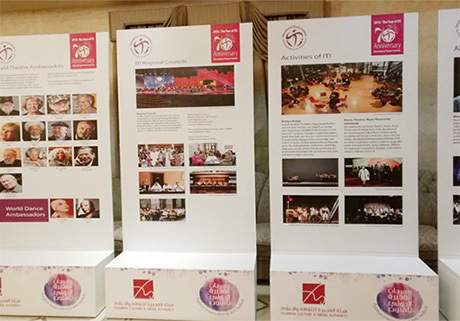 Preparations are also underway for the 38th Fadjr International Theatre Festival from 1-11 February 2020 in Tehran. 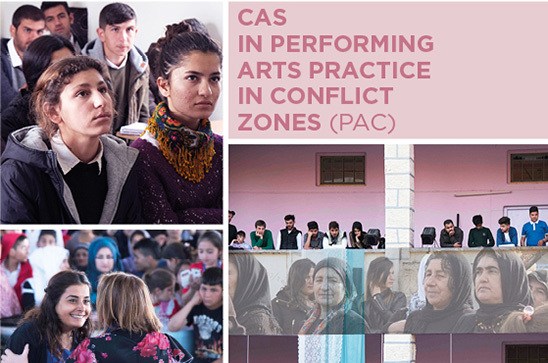 They are looking for applications from participants for all three events, specifically theatre companies, performers, workshop leaders, lecturers and essayists who wish to participate. >>Application forms can be found here. The deadline for applications to each event is exactly 40 days before they start. 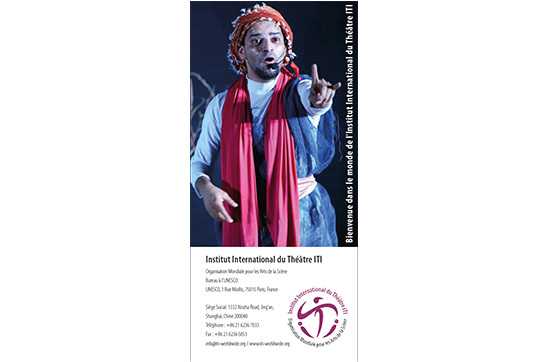 For more information, contact dramatic.artcenter.iran(at)gmail.com or >>visit their website by clicking here. 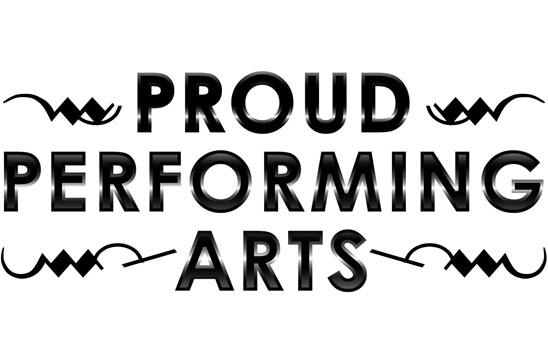 There will be two ITI Proud Performing Arts LGBTQ+ meetings taking place in 2019, one in Miami, USA, from 5-7 June and the other in Stockholm from 1-2 August 2019. 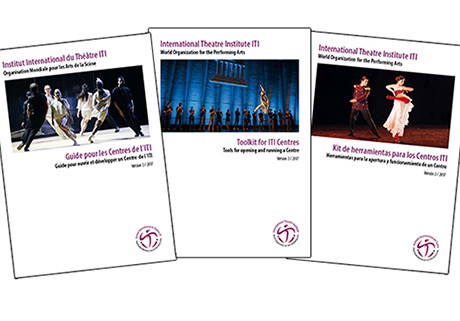 The US and Swedish Centres of ITI would like to invite as many representatives from ITI Centre’s to both events, the purpose of which are for participants to exchange experiences, discuss ways of lending a greater platform to theatre projects with an LGBTQ+ theme, and come up with new initiatives. 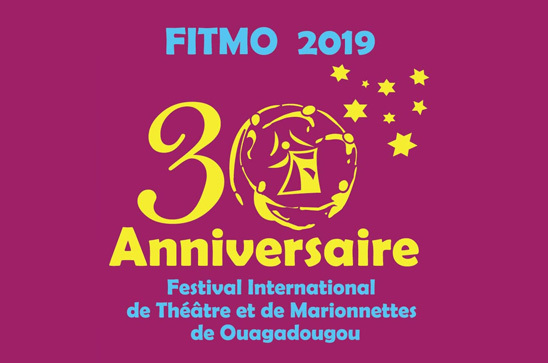 The 17th edition of FITMO (Festival International de Théâtre et de Marionnettes de Ouagadougou) will take place from July to November 2019 across many African Countries under the theme ‘Social Cohesion of Arts and Integration of Peoples’. 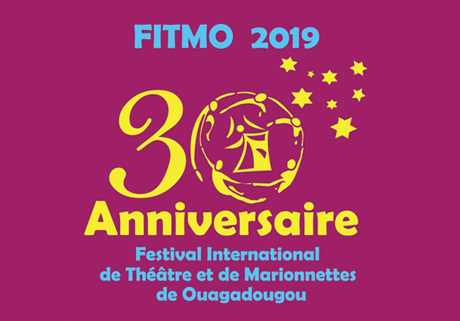 For the Burkina Faso part of the Festival, the Burkinabe Centre of ITI are calling for artistic propositions (spectacles, performances, workshops, exhibitions, masterclasses etc), about theatre, from artists or groups from all over the world. - a document about the performance or a video. - a document and a portfolio for the proposed workshop or master class. For full information, please click >>here for an English version or >>here for a French one. 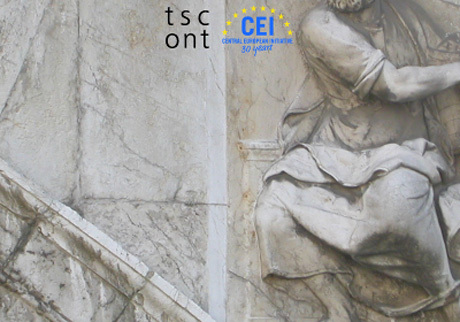 The Trieste Contemporanea Committee launches a CALL FOR YOUNG CURATORS under the age of 35, willing to be among the speakers at the 9th CEI Venice Forum for Contemporary Art Curators. 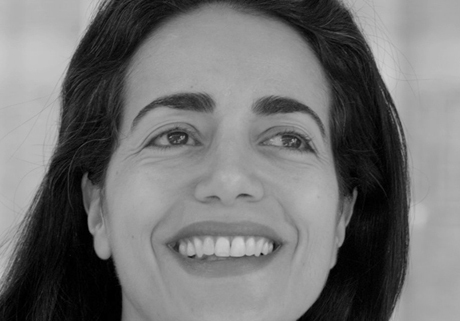 Winning entrants could have the opportunity to meet international curators and experts and share their thoughts and views on the future art world at the Academy of Fine Arts, Venice, on 9 May 2019. >>For full information, terms and conditions, please click here. The Chibok Girls: Our Story, is the searing testimonial about the abduction of 276 girls from their school in the Nigerian town of Chibok by the Boko Haram in 2014. 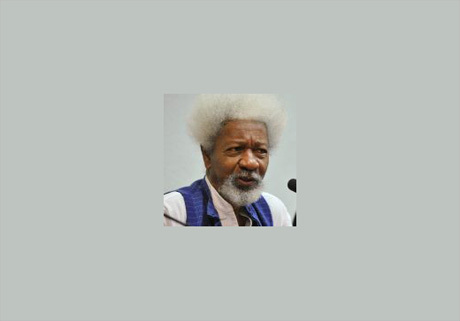 Written by Wole Oguntokun the piece will be premiered in tandem with Nobel Prize Winning Playwright and Author Wole Soyinka, who will premiere excerpts from his brand new work A Humanist Ode for Chibok, Leah at the Gonda Theatre, USA. Tickets are now available. >>For more information, please click here. 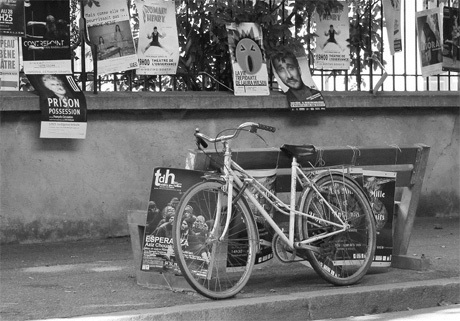 The fifth edition of the ETC’s – European Theatre Convention - European Theatre Academy will again take place during the Festival d’Avignon at the beginning of July 2019. 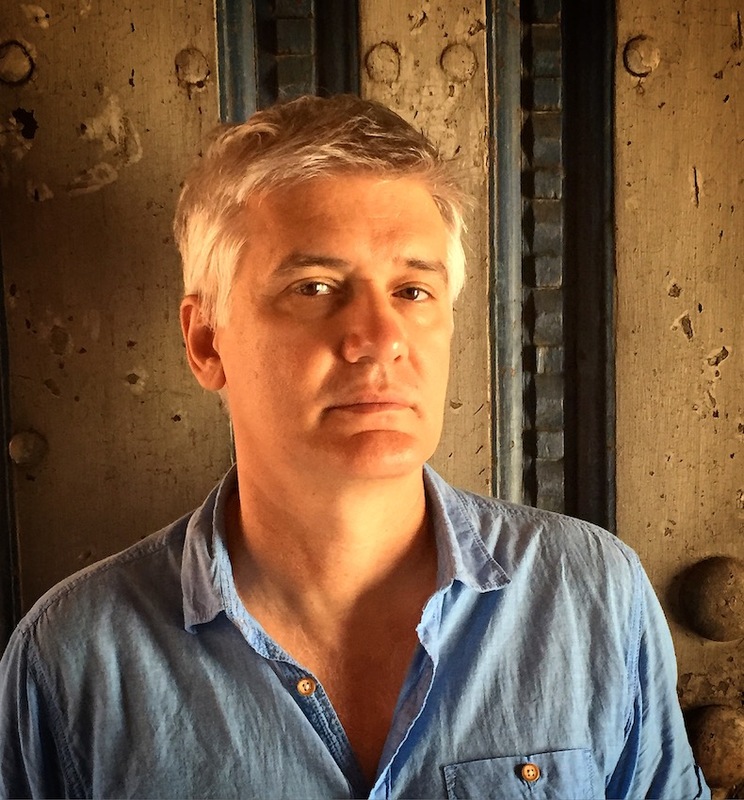 It will offer four days of masterclasses and workshops focusing on the different aspects of curating and managing international theatre collaborations. 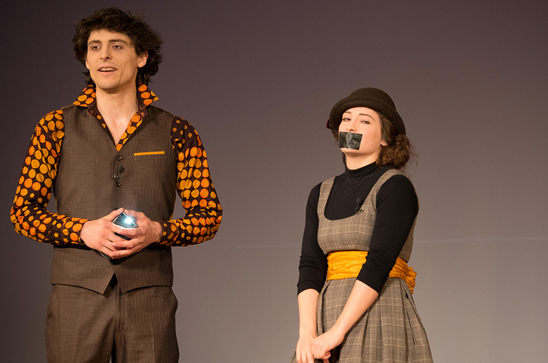 The European Theatre Academy is specifically designed for theatre professionals at the beginning of their careers, with potential and ambition to grow internationally. The programme they run will be from the 3-7 July 2019, and the deadline for registering is 22 April 2019. >>For full information, including terms and conditions, please click here. ITI Czech Republic have released their upcoming calendar of events for 2019. There are countless fabulous opportunities for everyone to get involved in their many initiatives. For a full run-down of their >>schedule, including website links and contact details, please click here. 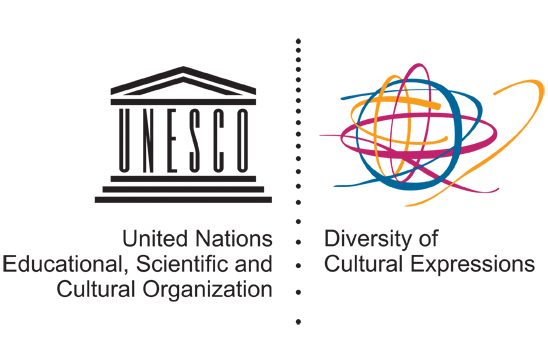 UNESCO's Policy Monitoring Platform supports evidence-based policy making for the promotion of the diversity of cultural expressions in the hope of creating more informed, transparent and participatory systems of governance for culture. A new platform detailing their Innovative practices is now available for you all to look at and get involved with. >>To further explore, please click here. 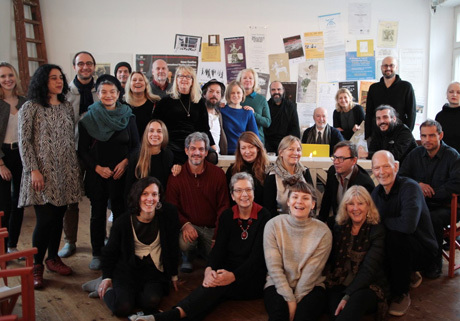 Over the past year, from 22 January 2018 to 20 January 2019, critics Margarete Affenzeller, Eva Behrendt, Wolfgang Höbel, Andreas Klaeui, Dorothea Marcus, Christian Rakow and Shirin Sojitrawalla viewed and discussed a total of 418 productions from Germany, Austria and Switzerland. 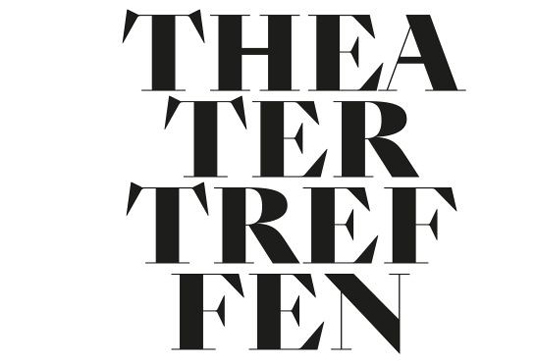 They have finally announced their selection of this season’s “ten remarkable productions”, which will be invited to the 56th Theatertreffen. For the >>shortlist in full, please click here, or >>visit the website. The Zimbabwe Theatre Academy in partnership with the Network of Emerging Arts Professionals, Zimbabwe Centre of the International Theatre Institute and Africalia are pleased to be able to announce the creation of the Mitambo International Theatre Festival. 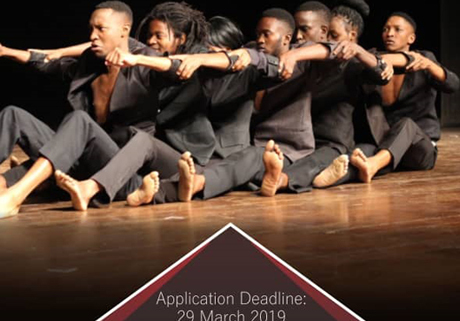 The inaugural edition will run from 8-12 October 2019 in Harare, Zimbabwe, and hopes to comprise both local and international performances and workshops. Mitambo, a Shona word for ‘plays’, truly encapsulates what the festival is about; a platform through which local communities can access and celebrate the diversity of cultural identity and artistic expression. 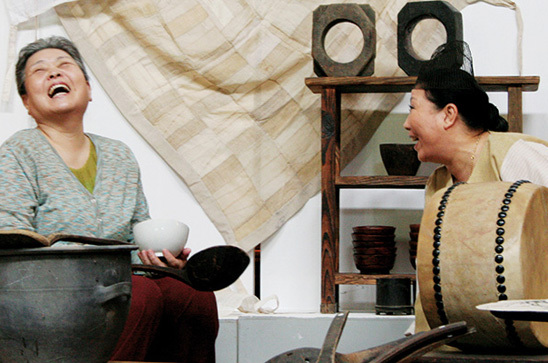 The World Duo Performing Arts Festival is now seeking participant applications for their 19th festival, which will take place from 27 October – 17 November 2019 in Seoul, Korea. 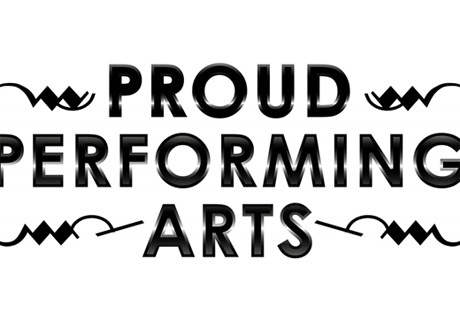 The WDPAF’s primary objective is to share a theatrical study on communication between one another, and its competition is a unique and highly valued world art festival. Any submission must contain a work involving two (2) actors. Submissions must include a transcript, an introduction to the work, the applicant’s history and a full profile of the artists. To submit an application, or to get further information, please contact ray3378(at)naver.com by the deadline of 30 April 2019. Successful applicants will receive a small invitation fee, as well as meals and lodging. The Cairo International Festival for Contemporary and Experimental Theatre (CIFCET) invites applications for its upcoming edition to be held in Cairo, Egypt from 10 - 20 September 2019. 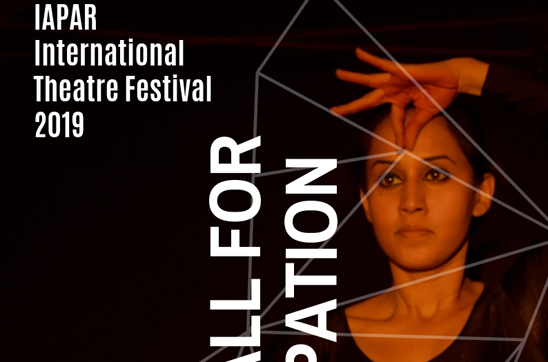 The festival is non-competitive and aims to introduce the latest developments in international theatre to Egyptian and Arab audiences while serving as a platform for local and regional productions. 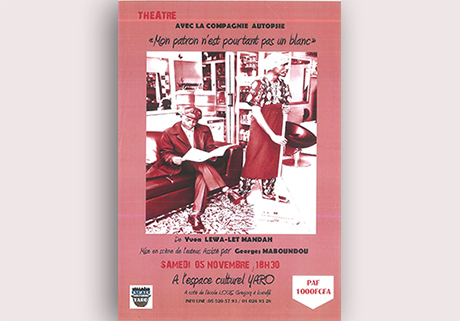 Accepted performances will present for two consecutive nights. 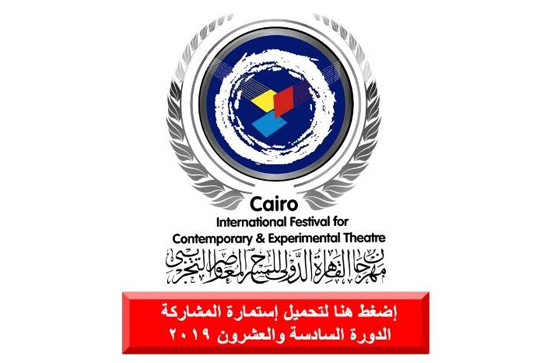 Additional performances may be organized outside Cairo at the discretion of the festival. The festival will cover all accommodation and local transportation expenses for up to 15 individuals per delegation. The deadline for applications is 15 April 2019. 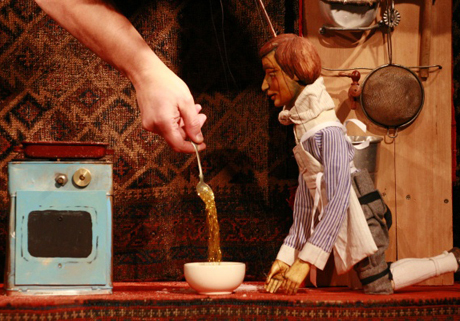 Experience Czech puppet theatre for adult and family audiences plus further theatre and dance productions all within a special programme package for international audiences. 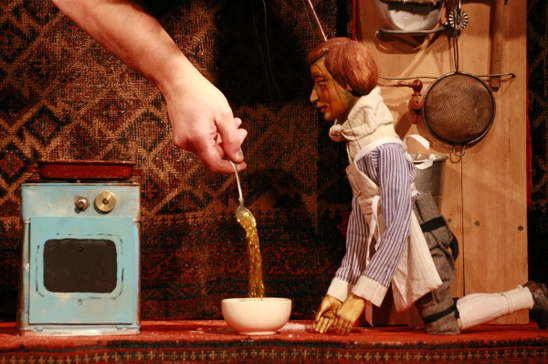 HI Performancz: Prague Visitors' Programme is organized by the Arts and Theatre Institute together with Czech theatres and companies, the puppetry showcase One Flew Over the Puppeteer's Nest and Czech ASSITEJ centre. Free accommodation, tickets and networking activities are available for a limited number of visitors. Registration is open until 15 March, 2019. >>Find the registration form by clicking here. 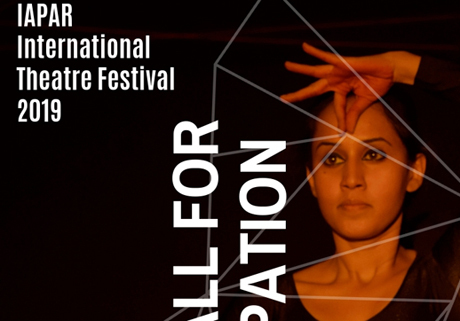 The International Association for Performing Arts and Research, is happy to announce the Call for Participation in the fourth IAPAR Theatre Festival. The festival will feature performances from across the globe, master classes, as well as formal and informal interactions between artists from India and other countries. This festival will take place in Pune, India, in November 2019. Deadline for application is 27 March 2019. Send an email to iapar.festival(at)gmail.com for the detailed application form or >>visit their Facebook page for more information by clicking here. 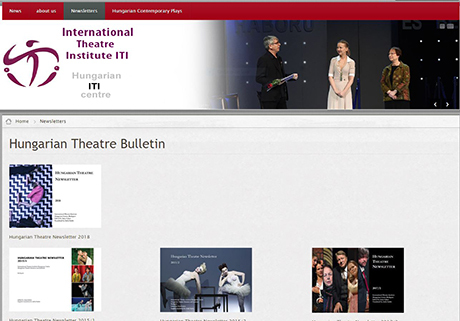 The China Section of the International Association of Theatre Critics (IATC-China, Beijing) invites entries for an international competition for articles and essays, already published in English, related to contemporary Chinese theatre. Three selected winners will each receive a “Critics Award for Reflections on Contemporary Chinese Theatre,” and a monetary prize of 5000 RMB. Entries can be either academic or journalistic. Feature articles and academic essays should be between 3500 and 6500 words, and theatre or performance reviews between 1500 and 2500 words. Writings must have been published, in print or online, in the last three years—that is, between January 1, 2016 and December 31, 2018. Please submit entries to cab(at)kalina-stefanova.com by the deadline of 1 April 2019. 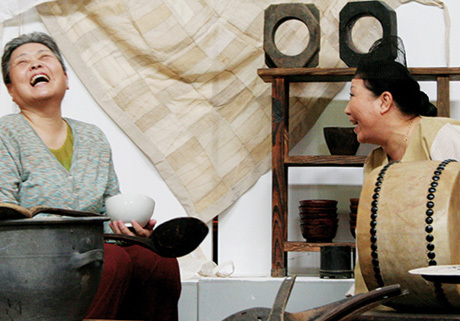 Students will study three courses: Chinese Opera, Chinese Culture, and Chinese Language. The intensive course will run from 17 June to 7 July 2019. 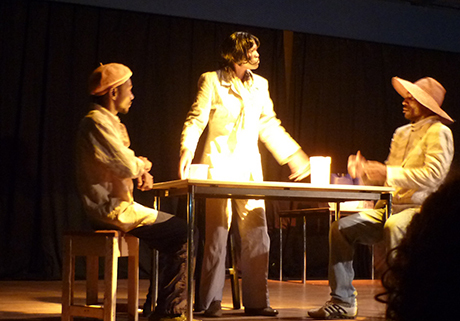 Tuition, accommodation and meals will be provided by the Shanghai Theatre Academy. Visa costs and travel must be covered by participating students. Open to international students. Contact: Shirley ZOU micgirl(at)126.com or sta_international(at)163.com. >>For full information please click here. 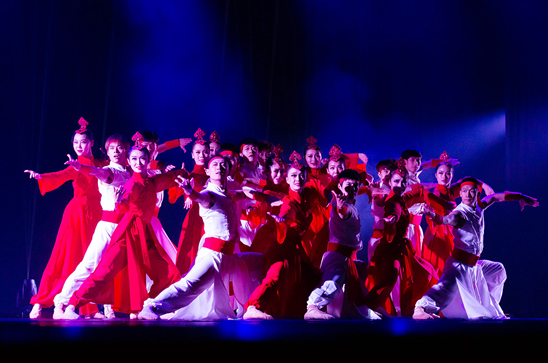 Students will explore the effects that the ancient Silk Road has had on the artistic culture of China, with specific focus on opera and music. This programme runs from the 10 June to 5 July 2019. Open to international students. Contact: Shirley ZOU micgirl(at)126.com or sta_international(at)163.com. >>Information (in English and Chinese), plus terms and conditions. 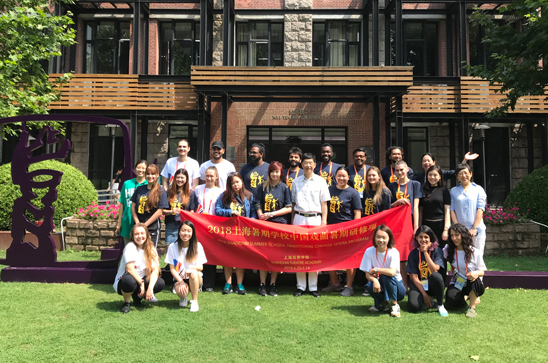 Intercultural Communications Studies MA Programme / Shanghai Theatre Academy The Shanghai Theatre Academy is creating an MA Programme in Intercultural Communication Studies. This two-year English-taught programme includes the required first year full-time residency and an optional second year residency for project-based internships. Open to international students. Contact: Shirley ZOU micgirl(at)126.com or sta_international(at)163.com. >>For full information please click here. 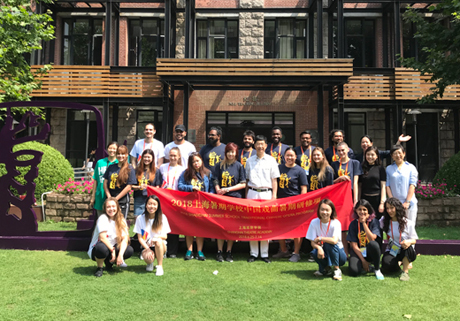 We would like to express our great gratitude to all members of the ITI family that closely or remotely supported us during this Grand ITI 70th Anniversary Event in Haikou, Hainan Island, China. The theme of this celebration “Preserving Cultural Heritage – Encouraging Artistic Innovation – Creating Unity through Diversity”, was very well expressed during these 4 days of celebration. Delegates, students and artists from 60 different countries gathered to celebrate the ITI 70th Anniversary. This celebration also presented the opportunity to acknowledge the members, the colleagues, the friends, the partners and the authorities that have contributed to ITI. With this celebration in Haikou, the Year of ITI approaches its end, on a positive note. The celebration itself was full of enthusiasm for ITI and its next seventy years! 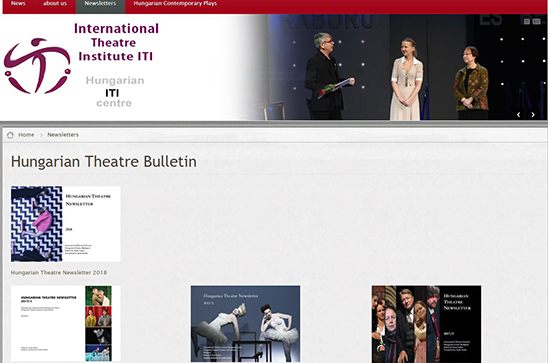 The Hungarian Centre of ITI are constructing a new Website – with Hungarian and English versions. 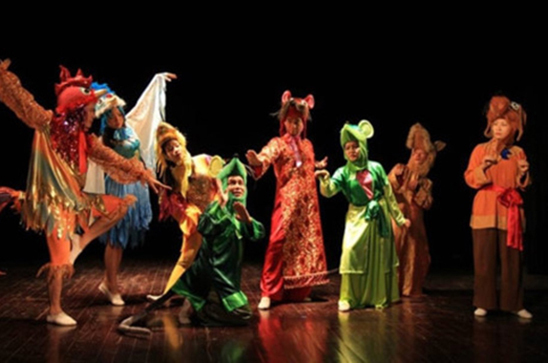 It offers ample information about the theatre scene in their country. Have a look. Some of the participants of the 70th Anniversary Conference may have heard the statement from Fin Ross RUSSELL, member of the Network Emerging Artist Professionals NEAP, in which he mentioned the results of DICE - a research paper which took an in-depth look at the performance level of students who regularly participated in educational theatre and drama activities. 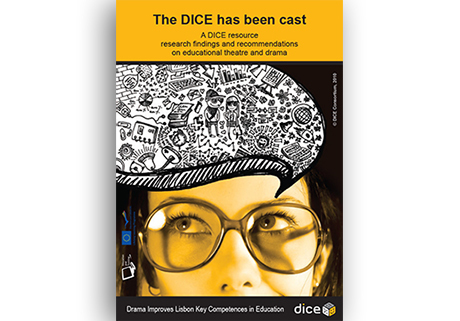 DICE (‘Drama Improves Lisbon Key Competences in Education’) was an international EU-supported project. 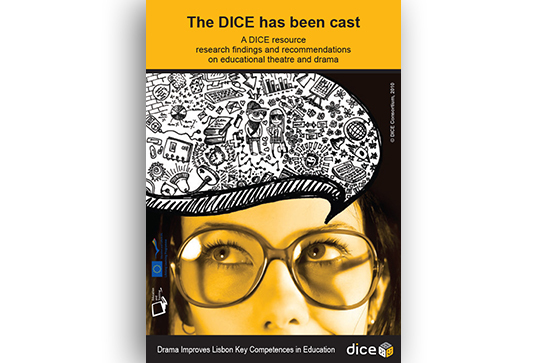 >>The full research finding´s document can be found here and is well worth reading! The Iranian Centre of ITI - the Dramatic Arts Centre of Iran - is pleased to announce the 14th International Street Theatre Festival from 23 to 27 of August 2019 in Marivan, Iran. 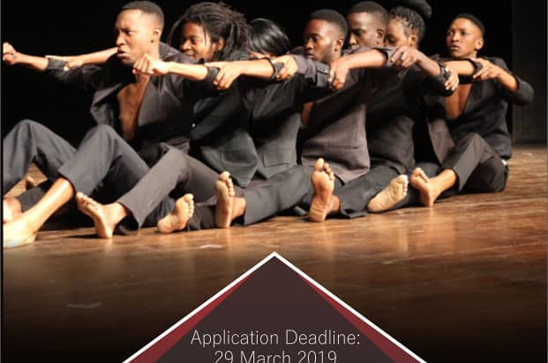 They are now looking for applications from participants, specifically theatre companies, performers, workshop leaders, lecturers and essayists who wish to participate. 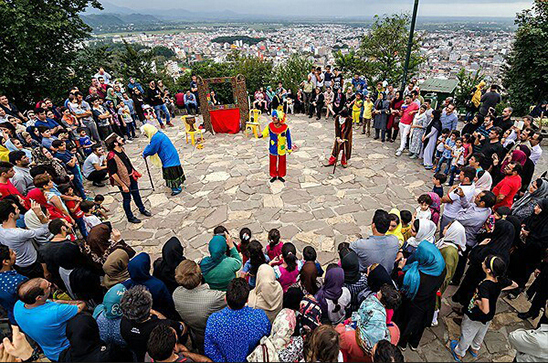 Applications should be sent by airmail to the Secretariat of the Festival, at Vahdat Hall, Ostad Shahryar Street, Hafez Ave., Tehran, 1133914934 Iran. The deadline for doing so is the 10 July, 2019. For more information, contact dramatic.artcenter.iran(at)gmail.com or >>visit their website by clicking here. Scensverige – the Swedish ITI Centre - produces Scenkonstbiennalen, the Swedish Performing Arts Biennial, every second year. The next edition will take place in the two cities of Sundsvall and Härnösand 14-19 May 2019. 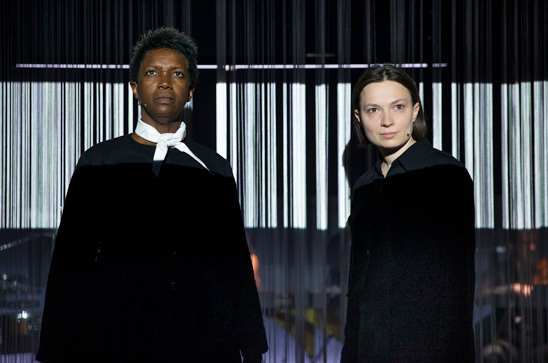 Scenkonstbiennalen is Sweden’s largest festival for performing arts. For international visitors it serves as a window into the world of Swedish performing arts, with its selection of outstanding local performances which highlight the best of Swedish theatre, music and dance, as well as international productions and student presentations, workshops, seminars and much else. 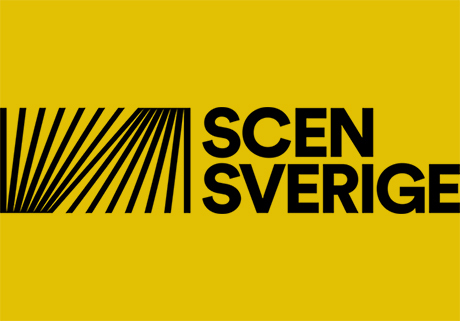 Those interested are asked to contact Brita Osafo, International Coordinator, at brita(at)scensverige.se >>For full information (in English), including details of which countries may have their attendance supplemented by the Swedish Institute, please click here. 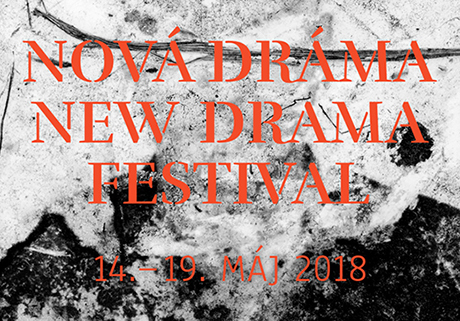 The 15th edition of the Nová dráma/New Drama Festival will take place from 4 to 9 May 2019 in Bratislava. 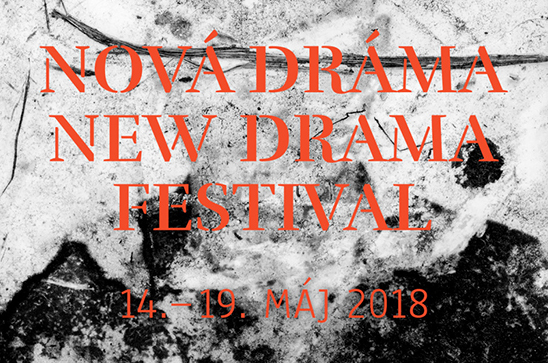 The Nová dráma/New Drama festival is an annual presentation of the best contemporary Slovak and world drama productions created by theatre makers in Slovakia. It is a unique presentation of contemporary playwrights and directors working in Slovakia, with a tradition lasting over fourteen years already. Highlights: 9 – 10 Slovak productions based on new drama. - Focus Greece will bring an insight into theatre of this country through a performance, a lecture and a book presentation. - International conference Ecology and Environment in Performing Arts will be exploring this fresh and dynamic key topic in contemporary art through presentations of renowned theorists and artists. Discover ALthattheatre, an innovative project of self-development for the artist. This is a chance to explore the most complex ideas and questions about the Theatre and your place within its sphere. The aim is not to pass on knowledge, but to engage everyone in the development of knowledge for each individual to become a master. The project consists of several weeks of self-preparation already in dialogue with a teacher followed by three work-intensive weeks in Sestola (Italy) conducted by Jurij Alschitz and his team of teachers. This methodological experiment is limited to a selected number of participants to allow for each artist’s individuality to shine through and continuously develop. >>Please find here the words of Jurij Alschitz himself explaining his ideas in more detail, and >>here the link to apply. 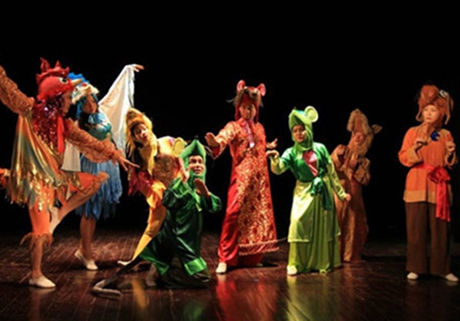 The Vietnamese Centre of ITI organizes an International Experimental Theatre Festival every third year. In 2019, the 4th Festival will be held in October in Hanoi. Artistic groups and individuals from all over the world are invited to apply for it. This festival will be a good opportunity to share and exchange theatrical experiences, and to renew and strengthen relationships with local and international artists, which should help with professional improvement, cultural and artistic development as well as international integration. >>For more information please click here. >>To apply please click here. The deadline for applications is 30 May 2019. 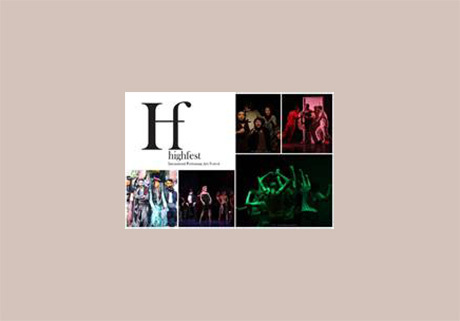 The organizers are glad to announce that registration for the HIGH FEST International Performing Arts Festival, which will take place from 1 to 10 October 2019 in Yerevan, Armenia, is now open. 2019 will be the 17th edition of HIGH FEST which is the main festival in the territory of the former USSR Countries. The application deadline is 15 March 2019. For more information, please contact: highfest(at)gmail.com. >>To apply please click here. We are pleased to inform you that Accademia Teatro Dimitri (Switzerland) is offering a new course of study. 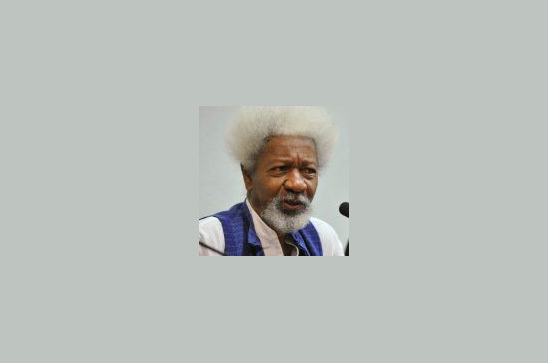 In a globalized world in which the consequences of violence, war, and discrimination have become an integral part of our lives, politics is created with angst, demarcation, and isolation determining everyday life. 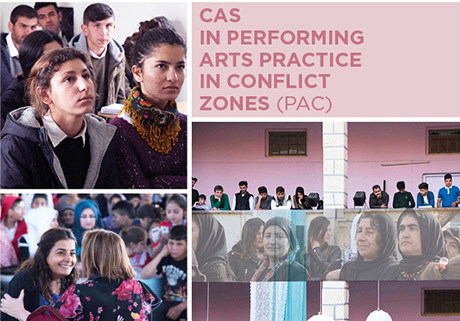 The CAS Performing Arts Practice in Conflict Zones offers an opportunity to open new spaces of reflection and action. The Croatian Centre of ITI participated at the Salon of Theatrical Book in Madrid organized by the Spanish Association of dramaturges (Autoras y Autores de Teatro – AAT), the Spanish Ministry of Culture and Sport and the Spanish Dramatic Centre (Centro Dramático Nacional, CDN). Croatia was represented by Željka Turčinović, president of the Croatian Centre of ITI, playwrights Tena Štivičić and Ivor Martinić, and Nikolina Židek, the translator. 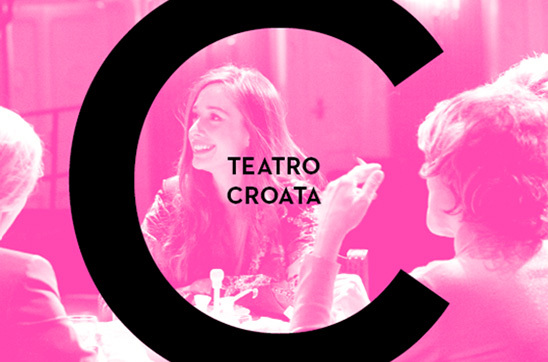 For this program the Croatian Centre of ITI presented a publication of Teatro Croata in Spanish language with play “Three winters” by Tena Štivičić. >>For more information please click here. We are happy to welcome a new Centre into the ITI family – it is a probably a surprise to many ITI members. 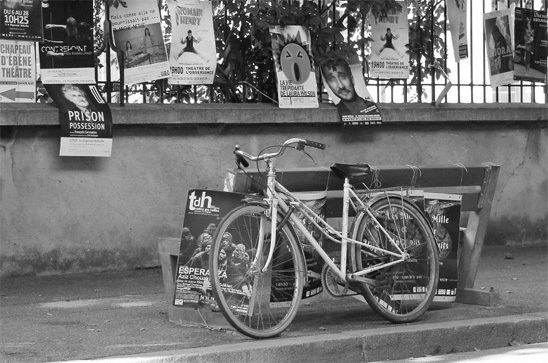 After the disappearance of French Centre in 2000 and many attempts to reopen a Centre in France. So finally, we owe our thanks to the initiative of Jean-Charles Birotheau and Joël-Maxime Ghienne, the President and General Secretary of the newly established French Centre, which was approved by the Executive Council at the last session. 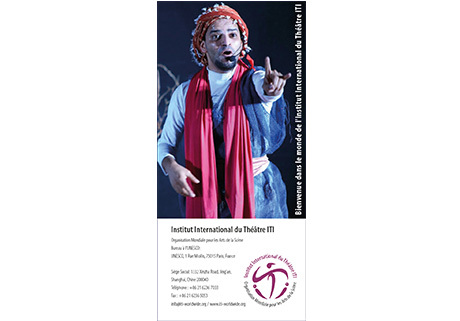 The French Centre of ITI is committed to developing the performing arts in France and abroad. Its main objective is to encourage international exchanges in the field of knowledge and practices in theatrical expression and dance. >>For more information please click here. 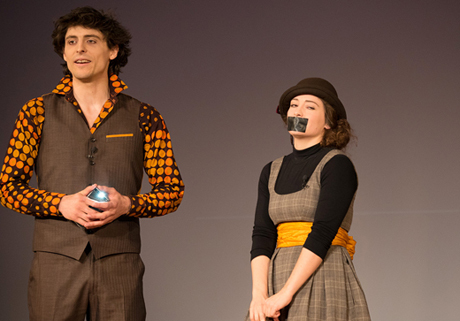 You have also the chance to apply for participation in the experimental programme of “Quantum Pedagogy – Althattheatre” that will happen from 23 April to 14 Mai 2019 in Sestola, Italy. Dr. Jurij Alschitz has developed a project of artistic self-education, which follows the idea of a holistic Theatre. 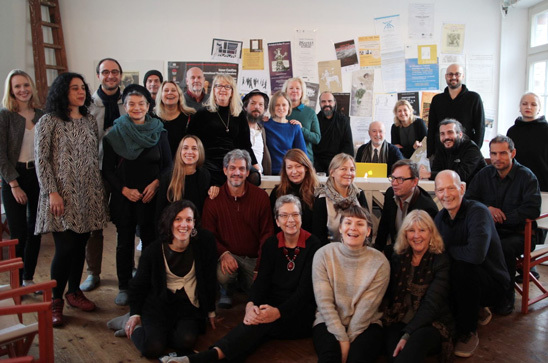 Together with his European Team of Teachers, he will open new paths to discover your identity as a unique artist – a unique particle of the Theatre as a Whole. >>For more information, please click here. The Argentine Dance Council, Cooperating Member of ITI, is happy to share with you the celebration of its 40th anniversary that happen on 3 September. 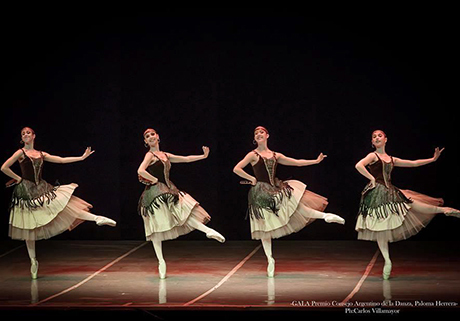 The 9th National Dance Competition “Consejo Argentino de la Danza Paloma Herrera Award” began with a preselection of 300 applicants in different regions of Argentina by a jury appointed and sent by the CAD (in March). Then, the 1st round through videos also selected by another jury (in July). The 2nd and 3rd round live presentation in Buenos Aires city (in September). 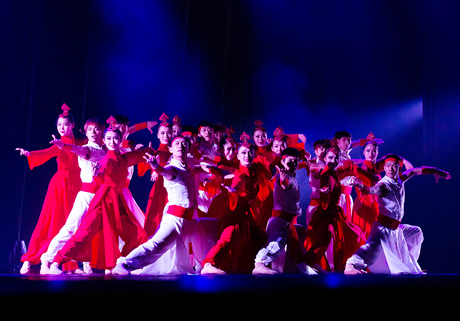 The total number of participants was 33 (19 classical dance and 13 in contemporary dance). The Honorary Jury was chaired by Mistress Paloma Herrera Colón Theatre Ballet Director, Mistress Susan Jones from the ABT New York, Andrea Chinetti Director San Martín Theatre, Norma Binaghi San Martín Contemporary Workshop. >>To see the picture please click here. The Committee for Emerging Artists (ITI NEAP) have been busy over the last few months working on projects all over the world. 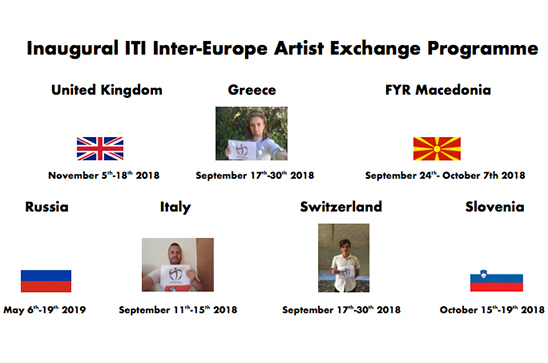 One of these has been the inaugural ITI Inter-Europe Artist Exchange Programme. After ITI Centres agreed to participate in the project, they were paired together in January via a draw and have since been working together to arrange to send emerging artists to their partnering countries for a short artistic residency. The aim is to give emerging artists the opportunity to create original work in a different cultural landscape from that which they're used to, and to give Centres around Europe the opportunity to strengthen ties and work together on a continent-wide project. The pairings are United Kingdom-Greece, Macedonia FYROM-Italy-Russia, and Switzerland-Slovenia. The dates of the exchanges can be found in the image below. So far, the artists selected to represent each country are as follows: United Kingdom: Adam Wheeler; Macedonia FYROM: Gorjan Milosevski; Slovenia: Dorian Silec and Switzerland: Stefanie Bölzli & Robert Diaz. 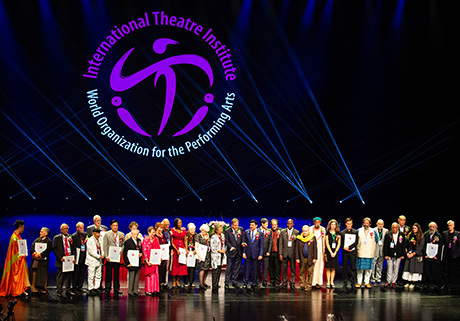 The Executive Council of ITI and the General Secretariat of ITI is launching an open call to find a host for the 36th ITI World Congress in 2020. Please click here to read the >>call in English, >>here in French, and >>here in Spanish. 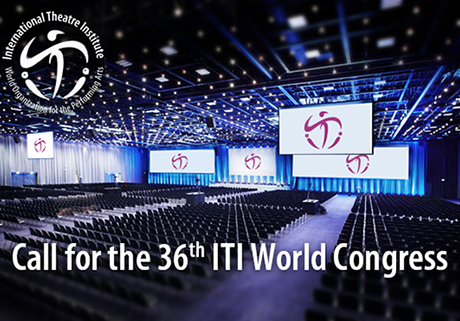 Please click here to download the document to fill out if you are >>interested to hold the ITI World Congress 2020 in English, >>here in French and >>here in Spanish. 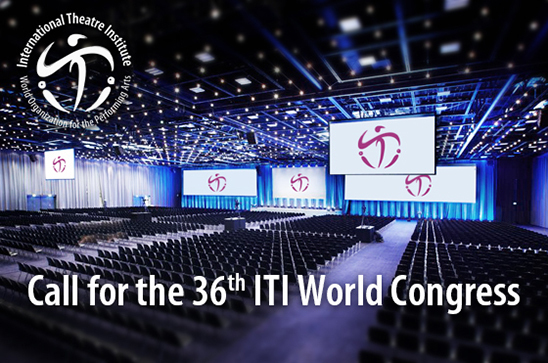 Those documents contain the main issues so that a Centre, a Cooperating Member, or a partner which has an interest can evaluate whether the process of applying to host the 36th ITI World Congress should be started. Please get in touch with the Director General of ITI if you think about hosting the next Congress so that your questions can be answered. The deadline to get in touch with the General Secretariat is 30 June. The deadline for the application is 10 September 2018. Unfortunately, the festival cannot be done as planned in 2018 due to different reasons, prime among them finances. As the festival and event calendar for the second half 2018 - The Year of ITI - 70th Anniversary of ITI is quite full, Le Quy Duong is planning to hold such a festival in 2019. As soon as there is news about when and where, there will be information in this newsletter. 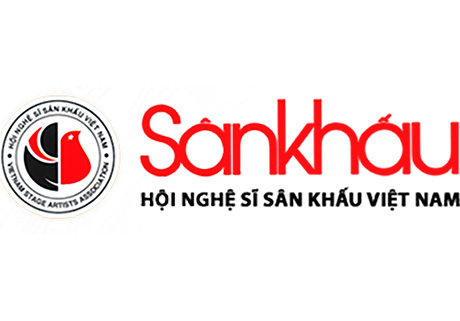 For further information please get in touch with Le Quy Duong directly. Panels introducing ITI to the world have been created in English and French. If you want to see them, they are available in low resolution here. 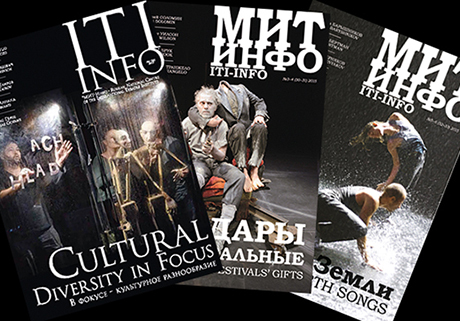 If you want to print them, please send an email to info(at)iti-worldwide.org and we will send you the high-resolution version for quality print. The ITI/UNESCO Network for Higher Education in the Performing Arts is a Network that follows the rules and guidelines of UNITWIN, a programme of the Education Sector of UNESCO, intended to twin academia with UNESCO and support UNESCO to reach their goals. 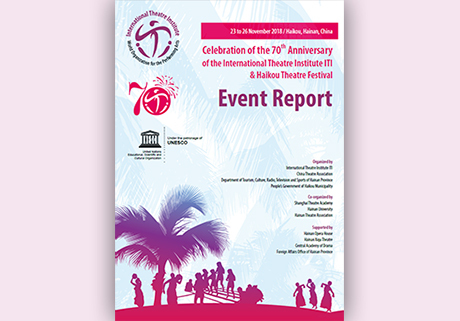 The ITI/UNESCO Network is dedicated to working for the education in the performing arts and intends to follow the humanistic, educational and artistic goals of ITI and UNESCO that are formulated in the Charter of the Network. 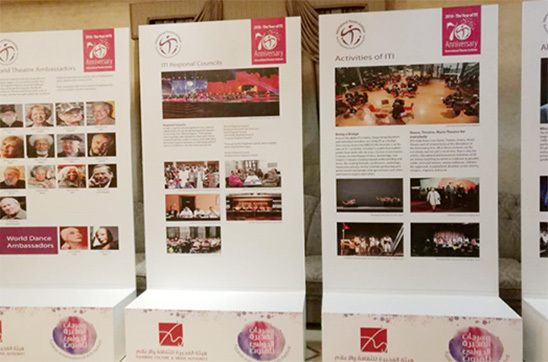 These are the activities and projects that the Network is undertaking or developing: Conferences, Student Festivals, Directory/Mapping Project, Exchange of Students and Educators, Research Projects, Books, Audio & Multimedia Publications, Exhibitions, Intangible Heritage Research & Preservation, Knowledge & Knowhow Transfer, Competitions, Awards and so on. Please get in touch with the Network if your institution is interested in joining by writing to Chen Zhongwen: chen.zhongwen(at)iti-worldwide.org or if you want to subscribe to the Newsletter of the Network by writing to: Tom Johnson: tom.johnson(at)iti-worldwide.org To read the first Newsletter of the Network for Higher Education in the performing art >>in English please click here, >>in French please click here, and >>in Spanish please click here. 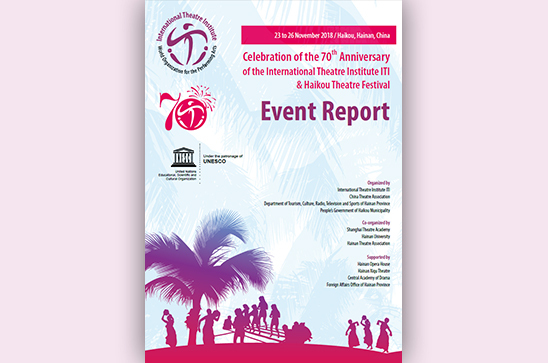 Short guidelines for Publications for ITI-info, dedicated to the 70th anniversary of ITI. The idea is to represent Arabian, African, Asian, European and American wonderful Faces of Theatre. Please, contribute your love and pride, your thoughts and knowledge to the joint non-commercial project. Here on pages of the magazine we meet each other again, but with a lot of necessary information to make new contacts and share new channels of collaboration. >>For more information please check the call here. For quite a while the members of the General Secretariat assembled all the available information that concerns the opening and running of an ITI Centre and put it together in a publication.. It answers questions such as: Who founded ITI? What is the procedure to open a Centre? 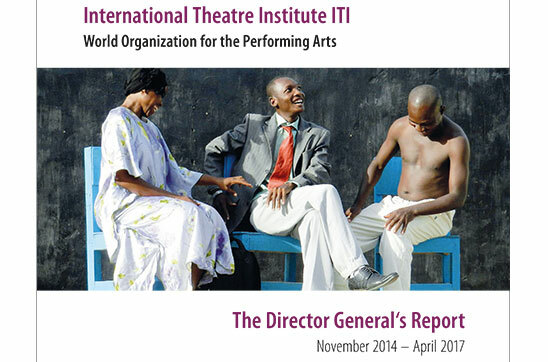 What are the ongoing artistic, educational and humanistic activities of ITI? How to go about to approach a National UNESCO Commission? What are the tools for increasing membership? Etc. 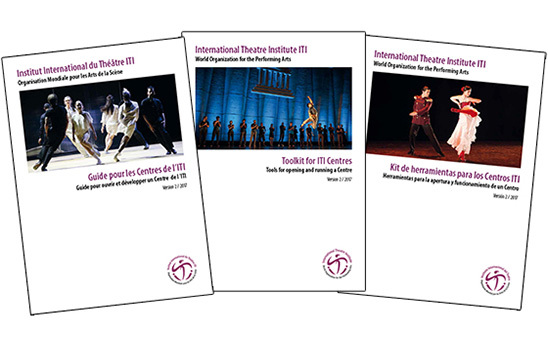 The Toolkit for ITI Centres is available in English, French and Spanish. 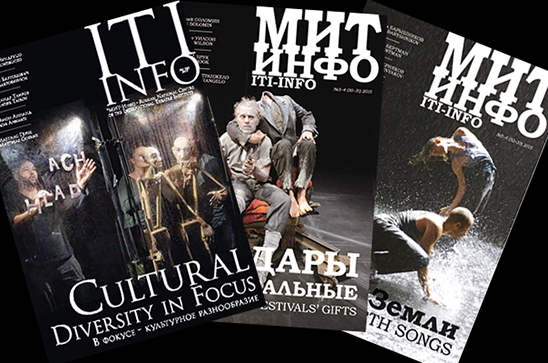 Please write to info(at)iti-worldwide.org so that we can send you a copy in the language(s) of your choice. The publication exists in PDF format.